Businesses need to earn, make money in order to function and survive. For this, they need to generate leads that could be converted into sales. This eventually brings in the money and keeps the organization running. 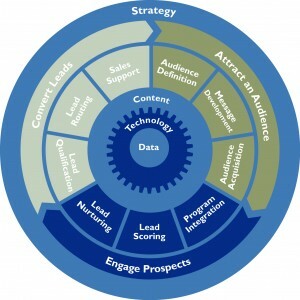 However, generating qualified leads that are likely to get converted is not an easy task. It requires experience, special skill set, expert resources and proper infrastructure. Organizations usually do not have the knowledge of generating leads as this comes under their non-core business activity. They will lose more by setting up an inhouse department for it; instead they should outsource lead generation services to someone who has the right knowledge, experience and expertise required for the task. Perfect Client Selection: The lead generation experts know exactly how to profile clients that are most likely to get converted. They use various strategies to find out every bit of required information about the client and find out exactly what the client wants. Thus, making it easier for you to pitch the prospects for sales opportunities. Targeted services: It is very important that you are in conversation with the decision making person. Vendors offering outsourcing services know exactly how to find the right people. They are well versed with the kind of research and analysis required for correct targeting. Multi-Channel Approach: These vendors use a multi-channel approach which allows them to search prospective leads for you through various channels. This greatly increases the chances of finding suitable leads for your business. Low Overhead Expenses: The outsourcing strategy greatly reduces your overhead expenses as you do not have to spend any money on anything that would have been required for an inhouse lead generation department. No hiring cost, HR cost, infrastructure development cost, salary payout expenses etc. Better Business Opportunities: You can expect highly qualified leads from your call center outsourcing partner as they are professionals and have good experience of doing this job. Thus, you will able to generate better business opportunities for yourself. A1 Call Center offers business oriented outsourced lead generation services to organizations spread all over the world. Outsource lead generation services to us and we assure you of delivering highly qualified business leads to you. Please Read our blog “A Made to Order Solution” to Know how we conduct order taking services. Posted in Call Center, Call Centers, Lead Generation Services and tagged customer satisfaction, Lead Generation.